There are several factors that go into producing a high quality video like the quality of the camera, the use of lighting, post production editing and more. However, even if everything else is excellent, poor quality audio will absolutely destroy a video. There is only so much that can be done in post production editing if the audio is poor quality. Anyone looking to get into doing professional quality videos will have to educate themselves about audio unless they can hire someone to do all the sound work that already knows what they are doing. Regardless, someone controlling the audio side of the video will have to have some knowledge about how audio works. I will cover some of the basics in this post, but there is a lot more to learn about getting the best audio which includes actually learning by doing. Audio can be a frustrating part of video production. It can be one of the biggest challenges in video. Whatever you do, DO NOT rely on the microphone on your camera to exclusively capture your audio especially with a DSLR (even a professional DSLR). Rather than simply plug the mic in the camera to record the audio on the card that's in the camera, it is important to mention the two types of mic inputs along with ways to get better audio quality. There are many new camcorders that are in the $1,000-$3,000 range have one 1/8" (3.5mm) audio input. However, the Canon XA20 has dual XLR inputs and it happens to be under $3,000. Most higher priced professional camcorders have dual XLR inputs. DSLR Cameras have one 1/8" (3.5mm) audio input. This is important information to know before reading the next paragraph. XLR cables are typically used with stage mics as well as condenser shotgun mics that can be boomed in. The 1/8" (3.5mm) input is often found on wired lapel mics that are under $100, on camera shotgun mics or wireless microphone systems that can be several hundred dollars like the Sennheiser ew 100 ENG G3 Wireless Microphone System. To run an XLR mic in to a 1/8" (3.5mm) input, there is an adapter available that will make that happen. However, pending how complex the camera's audio system is will depend on the end level of final audio quality when recording through the camera input. That's one reason that it's often better to use an external audio unit, a mixing board to run mics through before running a cable(s) to the camera or even using something like a JuicedLink RM333 Riggy Micro Low-Noise Preamp. Running the audio direct into a camera's input, especially a DSLR, may not provide the quality of audio needed. DSLR mic inputs are known for increased noise which is why I like the previously mentioned RM333 and the Tascam DR 60 mentioned below. In studio, I run my audio through a mixing board. The Tascam DR 60 is just one way of capturing audio when shooting video. 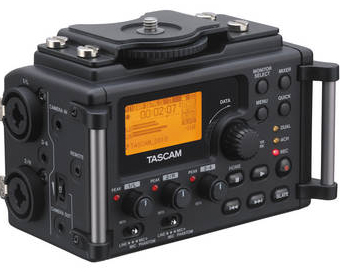 With the Tascam DR 60, the audio can be recorded into the unit as well as into the camera. This will allow for audio to be recorded on the card in the camera as well as audio on the card in the Tascam DR 60. The Tascam DR 60 was specifically designed for those shooting videos with DSLR cameras. Another very popular recording unit is the ZOOM H4N. You'll have to do the research for yourself beyond this post to decide what you feel is the best option. However, the Tascam DR 60 and the ZOOM H4N are two great units to begin with researching. Below, I have included a video on the Tascam DR 60. There are several types of microphones that can be used for audio. I'll mention a few options below to consider. The one that is likely the worst option is the on camera mic especially in a DSLR. A professional camcorder with an actual shotgun mic might do pretty well but anyone shooting with a high end professional camcorder that's $5,000+ likely knows the limitations of the on camera mic. Using an on camera shotgun mic is likely going to be better than the built in mic on the camera, but an on camera shotgun mic has its limitations. If the mic is to far from the subject or being used in doors (even close up), there will likely be audio issues to come. On camera shotgun mics are great for run and gun audio capture just a few feet away from the subject especially outside. A wired lapel mic is one of the best low cost ways to capture quality audio. Wired mics are often very reliable and there is typically enough cable attached to the mic to allow the subject to be far enough away to feel comfortable. A wireless lapel mic is another option that is likely far more expensive than the wired option. Grant it, there are cheap wireless units out there, but for quality audio, stay away from cheap wireless units. The final option that I'll mention in this post is a condenser shotgun mic which can be boomed in above the subject. One of the more affordable high quality mics is the RODE NTG-G. It has both Phantom and Battery power and works off of an XLR input. I hope that you have learned more than you knew when you started this post. 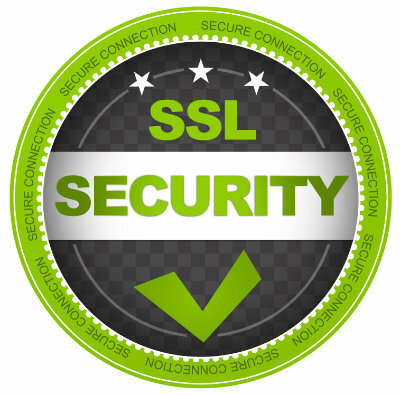 Please be sure to use the Social icons below this post to SHARE.